The Theodore Boutique Hotel was a rather unique project. It was an idea of a Greek – Canadian entrepreneur and his talented wife with an infallible traveller’s instinct. Our customer loves his roots and inspired by them, he carries his strong legacy. Attention was paid to the effective implementation of the owner’s vision as well as Brand guidelines through the website structure. 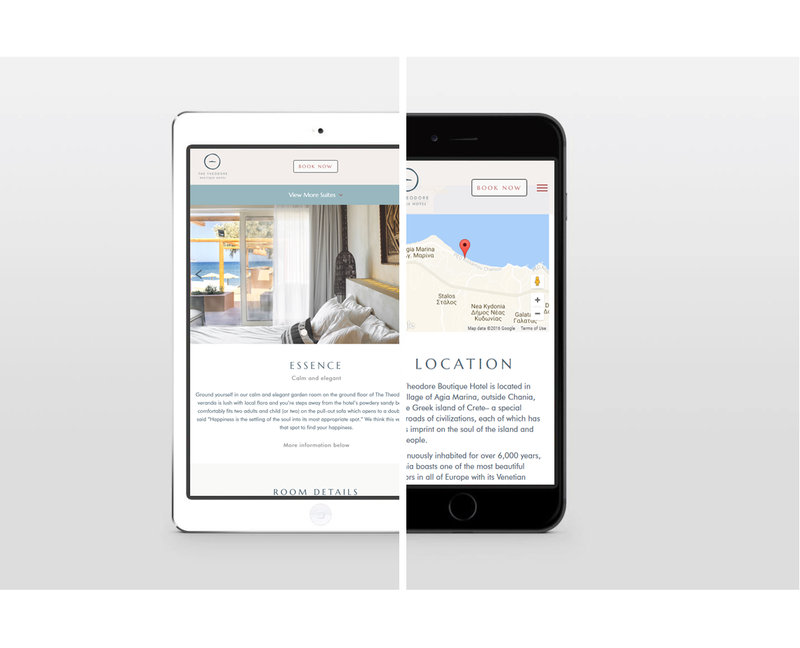 The “body” of The Theodore Boutique Hotel Website, bears the characteristic features of the Brand. Simplicity, clarity and elegance, with an emphasis on the visual representation of this welcoming retreat and the beautiful geographic spot where it resides. The colours of the seashore in front of The Theodore, were our guiding force during the structural study and the constructive procedure. Symbolism, rarity and strong philosophical statements are present inside The Theodore Boutique hotel. 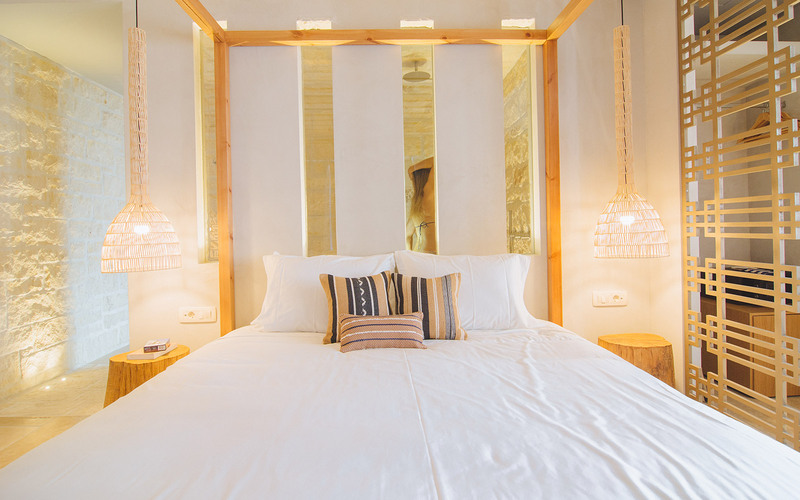 Lovingly selected items, unique architecture and rich cultural references, create a space where the visitor can relax, and regain his energy. The website as a result, goes beyond functionality reflecting those essences, having an intimate and at the same time impressive look and feel, easy navigation, intelligible function and substantial content. No pretences here. The Theodore web presence was created with an objective to reach a universal niche market of cultivated and well travelled individuals who appreciate the privilege and sacredness of an unspoilt scenery and value introspection and authenticity. 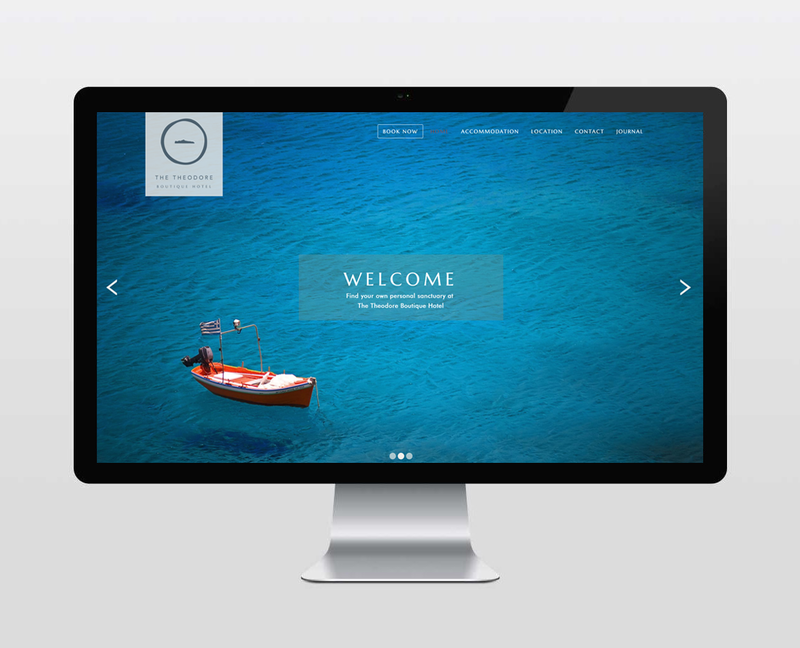 Responsivity of the website was a must as the target group is strongly connected with technology as a mean of information, communication, work and play in their daily life. This is why the Hotel also needed social content that would create style. Enjoy the noble yet witty presence of the Brand on social media and the Website Journal and get to know the people, facilities and spirit of The Theodore Boutique Hotel. On-site SEO and content optimisation during this particular project do not compromise to commercial norms, but aim to create a differentiated voice available to a distinctive target group tuned to its unique frequency.